This 10 days tour takes you to a tour of Complete Himachal Pradesh the place of nature abundance, a fascinating cultural amalgamation, the beautiful valleys, the snowcapped peaks, the mighty rivers and lakes which attracts numerous varieties of birds from all over the world. A perfect destination for honeymooners, adventure enthusiast and perfect getaway for those seeking peace and quiet holidays. Pick up from the Delhi Airport or railway station & proceed to Shimla. On Arrival hotel check in. Remaining day at leisure. Overnight at hotel. After breakfast proceed for sightseeing of Shimla. Visit to Kufri & the high altitude Zoo. Kufri is famous for winter skiing. Later will take you to Christ Church the 2nd Oldest Church of North India-which was consecrated in 1857. It is a prominent yellow painted building with a Victorian-Gothic spire. Inside, some of the finest stained glass windows in India depict faith, hope, charity, fortitude, patience, and humanity. State Museum-The state museum is about 3 km from the city centre. It has a good collection of statues, miniatures, photos, coins, and other items from around Himachal Pradesh. & Shimla Ridge. Later visit to the Mall in the evening Main shopping centre of Shimla with departmental stores, ice-cream parlours, shawl shops, Gaiety theatres and many more which runs along the Ridge and is crowded with tourists. Lakkar Bazaar adjacent to the Ridge is popular for its wood crafts and souvenirs. Overnight at Hotel. Morning after breakfast drive to Manali through one of most scenic route with stop en route for photography. Reach Manali en route Kullu famous for Raghunath temple, Bijli Mahadev temple visit to Akhara Market Kullu caps and woolen apparels such as shawls, pattoos, gudmas, puhlas and namdas or rugs. Arrive Manali hotel. Check into hotel. Overnight at Hotel. After breakfast, leave for snow point along the Rohtang road. (Subject to weather condition). Carry warm clothes like hand gloves, muffler, sweater, shawl, socks & sports shoes etc. En route overcoats and shoes are available on hire as well. Please note that Rohtang Pass (altitude 3940 mts.) is actually 51 kms far from Manali, due to heavy snow covering the road, this pass is not accessible almost for 8 months leave for Snow Point. Full day to enjoy at this beautiful point. Night stay in Manali. 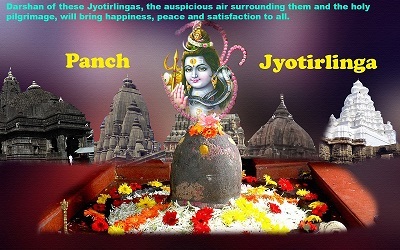 Morning after breakfast proceed for sightseeing of this beautiful hill station of Himachal Pradesh is dotted with numerous fantastic places such as Hadimba Devi Temple- The temple is dedicated to the goddess-turned-demoness Hadimba (or Hirimba), the wife of Bhima. It is said that Bhima fell in love with Hadimba, Built in the 1553, the temple has pagoda-like roof that adds into the beauty of the place. Manu Temple- 3 kms. from the main bazar in old Manali lies the temple of MANU RISHI. It is believed that this is the only temple of Manu in India, who was the creator of human race on the earth. Vashisht Hot Water Springs and temple and Tibetan Monasteries- here are 3 newly constructed colorful monasteries, where visitors can buy carpets and other Tibetan handicrafts. Two are located in the town and one at Aleo on the left bank of Beas river. Don't forget to bath in the hot water springs of Vashisht. Overnight at Hotel. Morning after breakfasts proceed to Dharamshala. Upon arrival hotel check in. Later free time for leisure or rest. Dinner and overnight at hotel. After breakfast drive to Dalhousie. Upon arrival hotel check in. Later proceed for sightseeing of Sat Dhara, Panji Pulla and Subhash Baoli. Dinner and overnight at hotel. 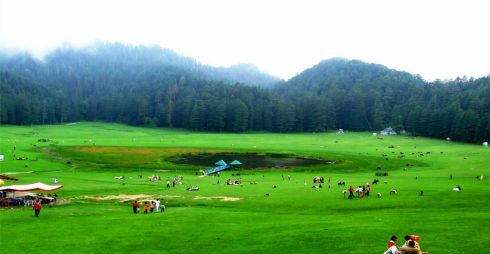 After breakfast drive to Khajjiar located at a distance of 22 kms is known as Mini Swiss and one not to be missed. En route visit Dain Kund. Later return to Dalhousie hotel or option of stay in Khajjiar. Dinner and overnight at hotel. After breakfast drive to Chandigarh. Upon arrival hotel check in. Dinner and overnight at hotel. · Surface Transportation by air-conditioned Tata Indigo Car (2-3 Pax) and Innova (4-6 persons) with chauffeur as per the itinerary. NON AC for Hill drive. Always stay at a safe distance from people like tourist guides, taxi drivers, bus conductors, etc. Do not be rude with them, but don't be too friendly either. Never ever venture alone at night, especially if you are a female. It is always advisable to stay with your group wherever you go. Always keep the emergency number of the place you are visiting handy. It is better to be safe than sorry. When moving in a public vehicle, it is better to avoid eating anything offered by strangers. While roaming around in a city, keep all the valuables in the safety vault at your hotel room. At the same time, do not carry too much cash also. Always keep loose change with you at all times. Never ever take out too much money in a busy street. Try to stay away from public displays of affection. Always make use of the services of an authorized tourist guide, the one who is registered with the government. Wear decent clothes, especially when visiting places like temples, gurdwaras, shrines, etc. Stick to bottled water for drinking purposes. The water sold in glasses, at the roadside vends, is not pure. Try to avoid eating anything from the roadside vends and too small restaurants. You might end up getting a stomach infection. Whenever you eat outside, try to avoid having salad and cut fruits. Cooked and fried food is what works the best. If you are coming in summers, always keep a bottle of water handy. At the same time, make sure to apply sunscreen and wear sunglasses and hats/caps, when under the naked sun.